Here, dark walnut Minwax stain is being applied to the chamfered edge on the timbers using a foam brush. Each beam has stain applied to all four sides and in all the pockets and joints. 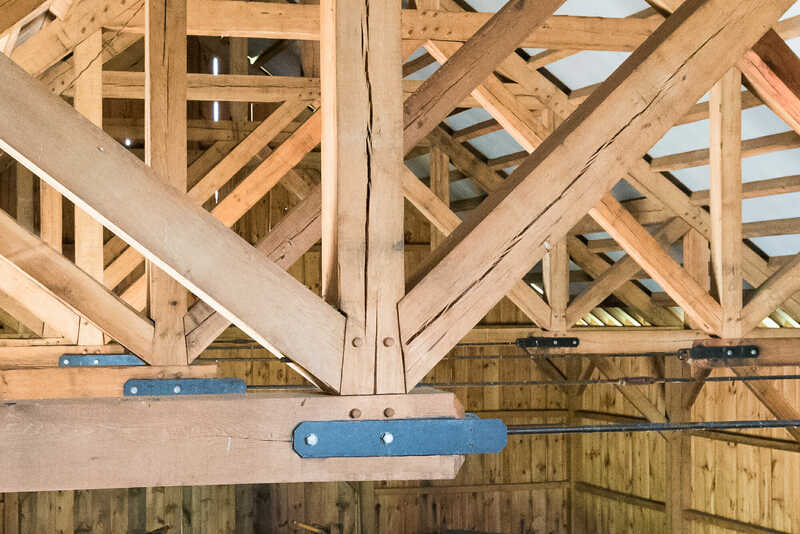 There are many important choices to make when considering the details of your timber frame including, wood species, wood texture, and whether to incorporate steel. Wood Stain can be another important choice that will greatly affect the appearance of your frame. Wood Stains can be hard to visualize until you can get a sample of the stain on your chosen wood species. Stains can look different based on the species of the wood and sometimes even the texture of the wood. 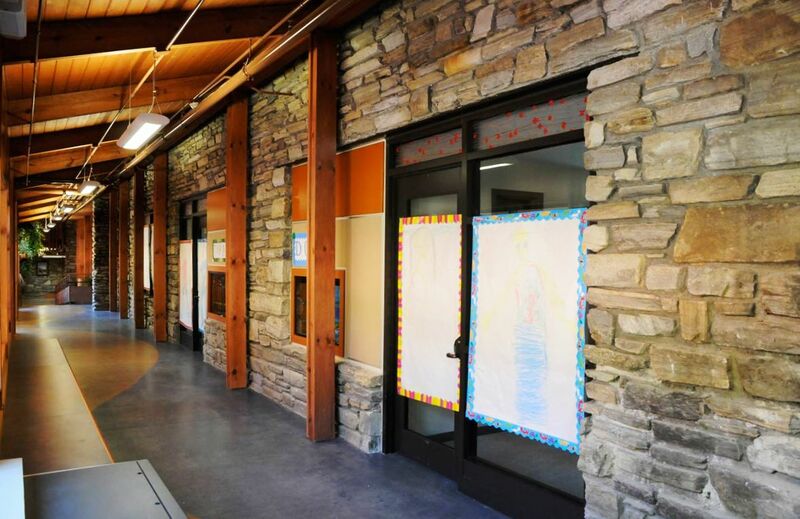 Today we’ll look at some of the most popular stain products we use at VTW and some of our past projects that feature them. The beams in this home are planed and chamfered Douglas fir with Minwax Stain in Provincial. 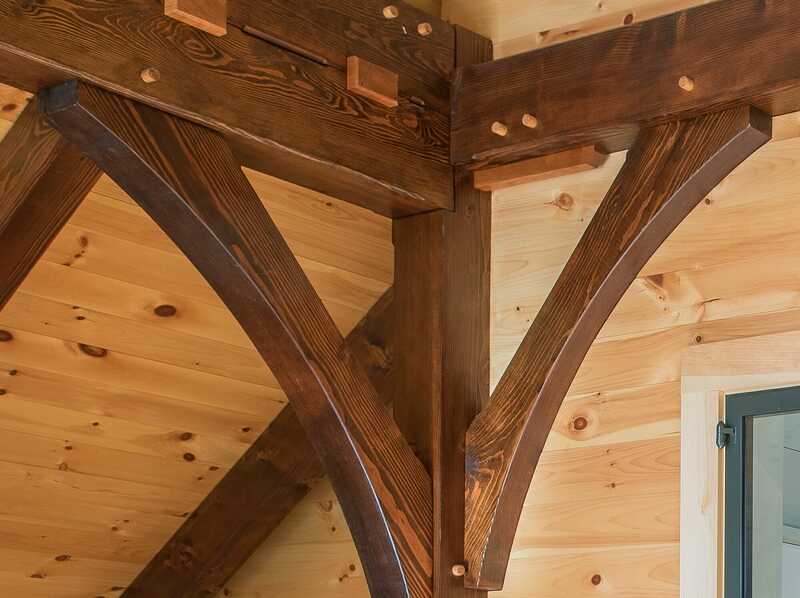 The Arches in this home are made from Planed and Chamfered Douglas fir with Minwax Stain in Early American. 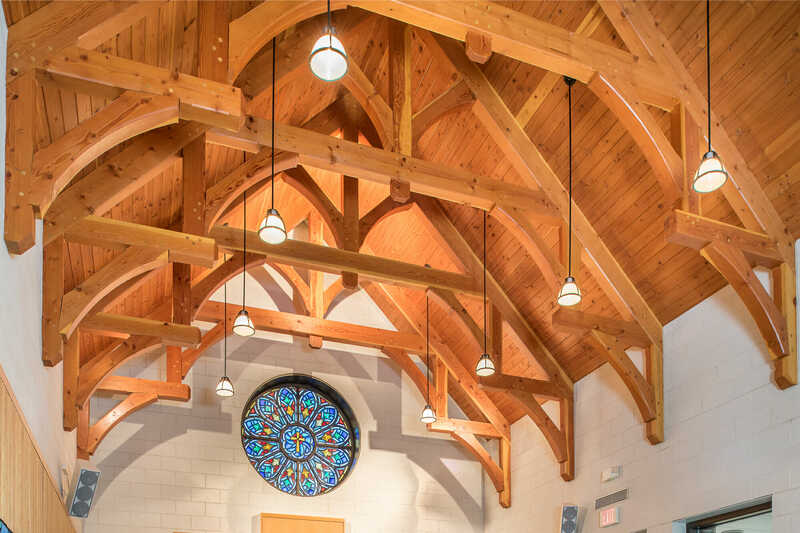 These Arched Hammer Beam Trusses are Planed and Chamfered Douglas fir with a clear Urethane that preserves the natural color of the Douglas fir. These Beams feature Rough Sawn Hemlock with Penofin Stain in Medium Walnut. This barn was made with Rough Sawn Red Oak Timbers with Cabot Clear Wood Protector. 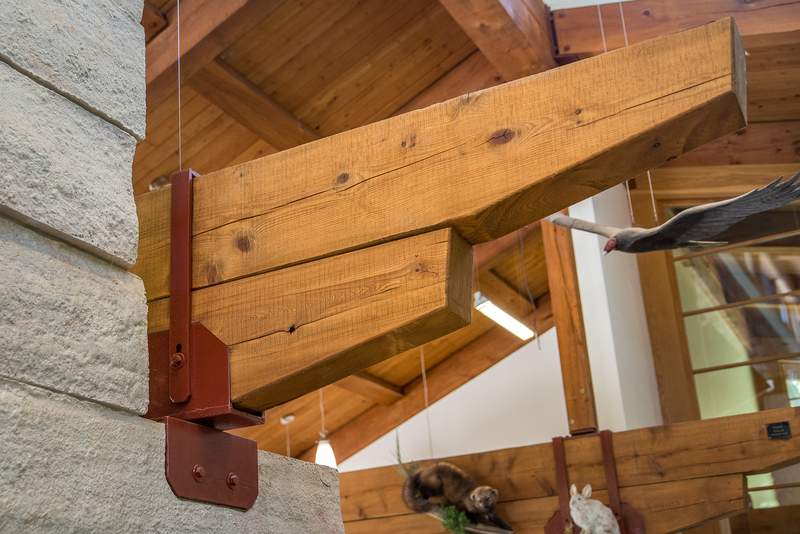 These beams feature Planed and Chamfered Douglas Fir with Minwax Stain Cherry. 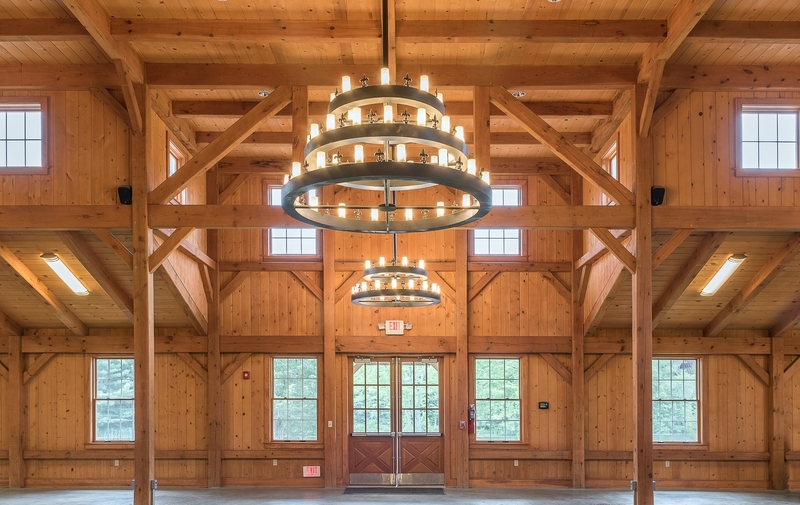 The Dining Hall Beams were built with Planed and Chamfered White Pine with Minwax Ipswich Pine Stain. Interested in your own timber frame? 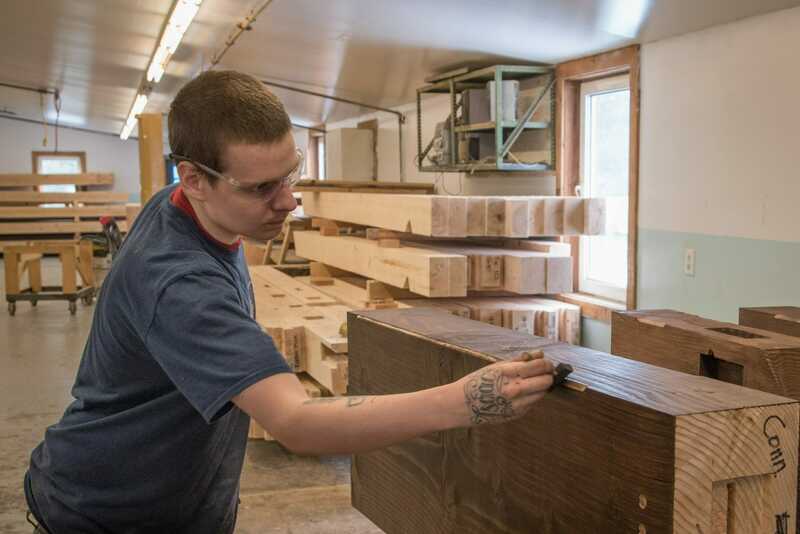 Send our sales team an email at sales@vermonttimberworks.com. 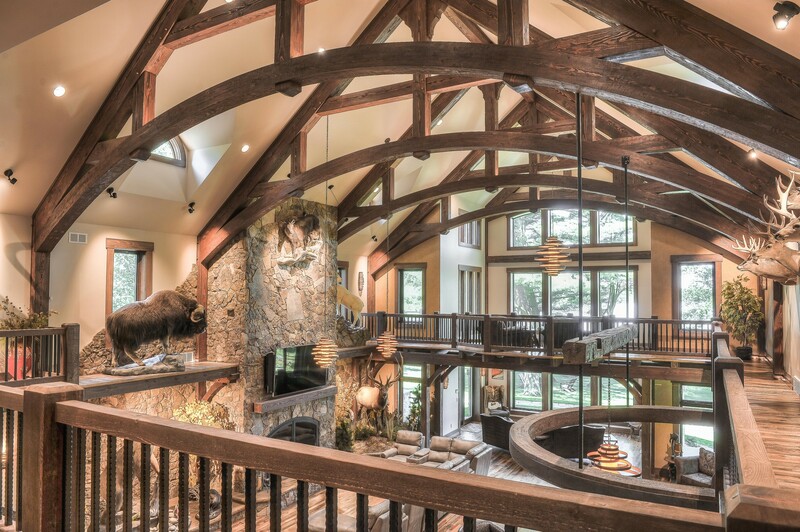 Have a question for our Timber Framing Experts? Submit a question on our Ask the Experts Page. Want to sign up for our newsletter? You can sign up here.